How does one go from being an vocal atheist and opponent of Christianity to an ardent Catholic? 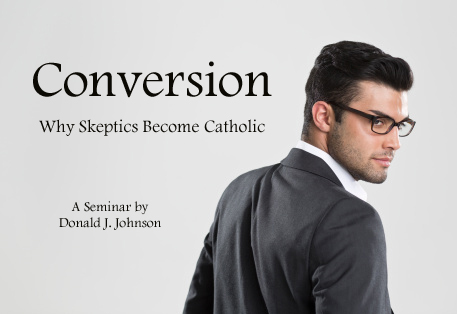 In this seminar Don Johnson walks through the process of conversion, explaining how skeptics move from one worldview to another. He also offers some tips for how we can help our unbelieving friends and family move farther down that path.